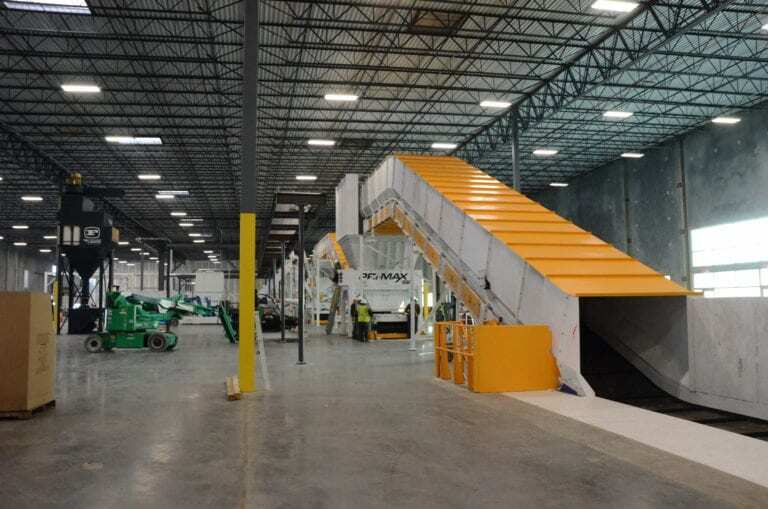 MLMC Florida, which plans to open a $10 million factory in Plant City, turns non-recyclable coated paper and cardboard, styrofoam, plastic films, wood materials and other process or packaging materials into these energy-dense fuel it calls Enviro-Fuelcubes. Materials Lifecycle Management Company creates a fossil fuel alternative out of materials previously thought unrecyclable. It won’t be long before a newer alternative for fossil fuels is manufactured in Plant City. Materials Lifecycle Management Company hosted a tour of its new manufacturing facility on County Line Road Wednesday afternoon. MLMC’s 103,000-square foot plant on County Line Road is nearly finished and the company hosted both Mayor Rick Lott and Plant City Economic Development Corporation president Jake Austin on a Wednesday afternoon tour of the near-complete plant. Both parties involved — MLMC and the city — have high hopes for the partnership. “MLMC was looking at multiple states and they came in and were actually looking in Polk County as well as Hillsborough, so they ended up really liking Plant City just from the pro-business environment here and the availability of labor, which is a big deal for what they’re trying to do,” Austin said. At MLMC, materials like styrofoam, plastic films and more previously considered non-recyclable are converted into “Enviro-Fuelcubes” that act as a replacement for fossil fuels. The company expects more than 150,000 tons of such materials to go through the Plant City facility every year. Austin said MLMC’s biggest customer is CEMEX, a Mexican building materials company that makes and distributes cement in 50 countries and has locations in and near Plant City. “They are buying pretty much all of their energy to start,” Austin said. The Tampa-based company chose Plant City and went public with the announcement in September 2018. A grand opening ceremony is expected to take place in early March. Austin said MLMC is looking to create 45 jobs at the new plant, paying workers an average of more than $58,000 per year plus benefits and flexible hours. MLMC is recruiting Plant City residents and encourages locals to apply online at notwaste.com. “Anyone with manufacturing background or looking to get into the industry, it’s a great company that pays really good wages and benefits,” Austin said.